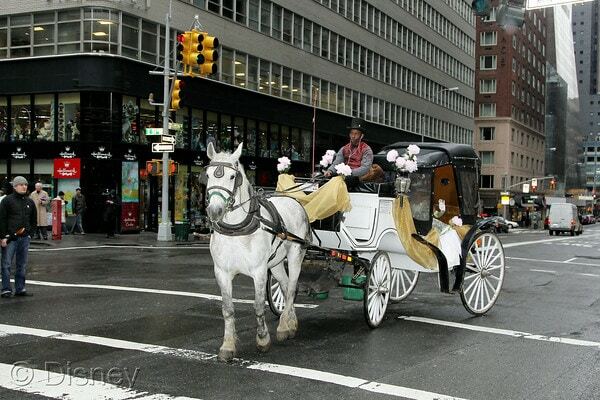 Tina Fey, Melissa Joan Hart, Kelly Rutherford, Audra McDonald, Nigel Barker, Brent Zachary, Alesandra Ambrosio, Matt Walton, Amy Landecker, Jenifer Lewis (“Mama Odie”), Jennifer Cody (“Charlotte”) and Michael Leon Wooley (“Louis”) along with Disney Princess cast members Ariel, Aurora, Belle, Cinderella, Jasmine, Mulan, Pocahontas, and Snow White and Prince Naveen. Natalie died and went to Disney Heaven. 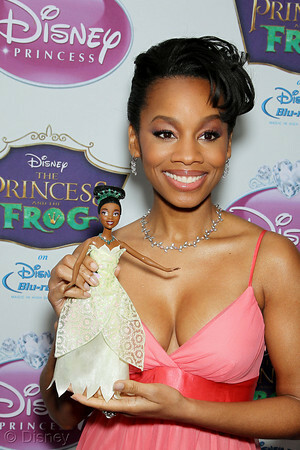 Anika Noni Rose gave a little speech about how it was always her dream to be the voice of a Disney character. She would have settled for being a little bug, but ended up the first African American princess to join the Disney family. It was truly an amazing moment for her. I felt so happy for Anika that she got to be part of something so monumental. 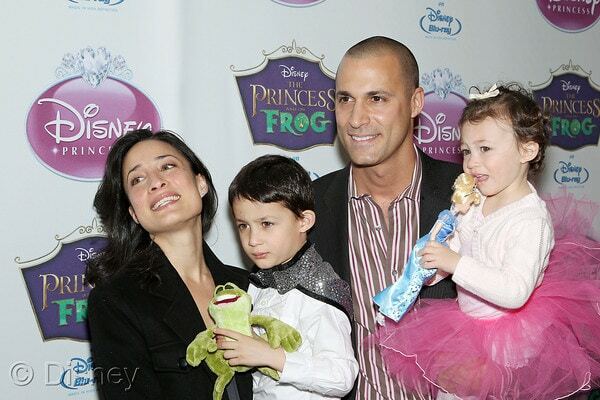 Fairy tales do come true, but you may have to kiss a frog first! 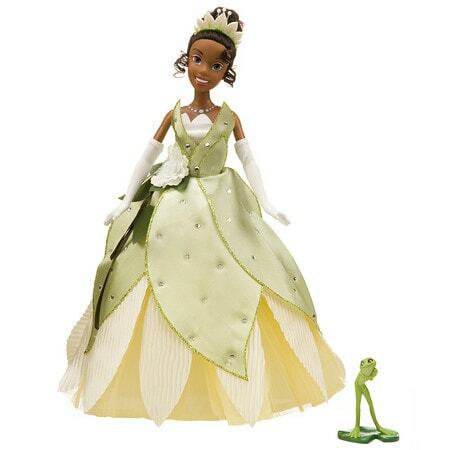 Gorgeous in her green wedding gown, the Princess Tiana doll is as sparkling as the blue bayou. 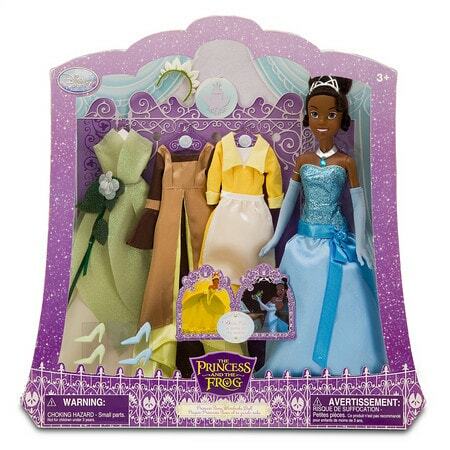 An adorable little figure of Tiana as her charming frog self is also included. As sparkling as the blue bayou, the Deluxe Tiana Doll and Wardrobe Play Set is perfect for dazzling dress-up fun. Lovely Tiana has four costumes that allow you to recreate all of her adventures in Disney’s The Princess and the Frog. 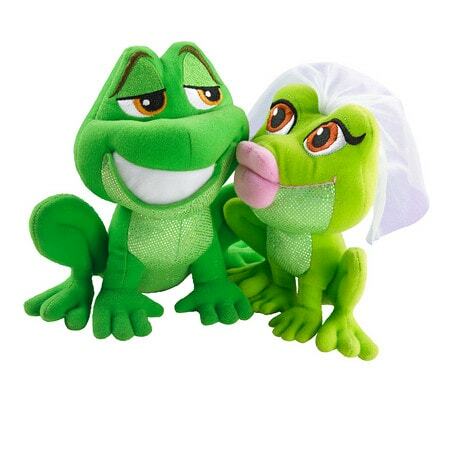 When girls bring Frog Tiana close to Frog Prince Naveen, the two will “kiss” and girls will hear the sound of the smooch as music plays. Don’t forget! The Princess And The Frog releases on Blu-Ray TODAY!